There are many moments during the day when I want to tell you about Bersarin Quartett, but then I’m thinking, “surely, you already know… How can you not,” I wonder, “how can you you possibly not know?” I have been hungrily consuming the music of Thomas Bücker since 2008, when he revealed the project’s self-titled debut on Lidar (he also records under the Jean-Michel moniker). The sophomore release, appropriately titled II got picked up by Denovali in 2012, and now, three years later, we are bestowed with a followup. So, surely, you’ve been awaiting this third installment with as much anticipation as I have, what’s more there is to say? I take a breath, close my eyes, and enter the world where sounds dominate all words. I grasp a glimpse of my muse, then gently pose her in the corner, and then begin to share. The cinematic tendency of Bücker’s sound is at once all enveloping, punctuated by samples of modern classical instrumentation, symphonic textures, and noir-fi fog. Indeed, even the cover of the album portrays what appears to be clouds, drowned in the pinkish light. The warm, vivid and radiant tones of the music swirl in a low swoosh of white noise, waves of bass, and light-hearted rhythms. The slow, jazzy, acoustic percussion nudges some pieces into a swing, dancing late into the morning, where all mistakes are once forgiven, mostly by others, if not by yourself. 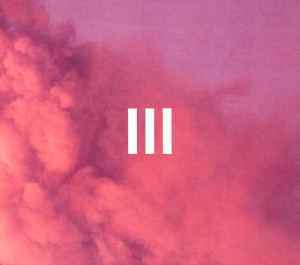 "In contrast to the first two albums, III offers a few darker shades and succeeds even further in narrowing down the arrangements to the absolute essentials without loosing the characteristic grandeur of Bücker’s sound. Whereas the debut was merely a description of melancholia in its most pure form, III maybe even goes as far a defining what melancholia really is. It is the only emotion in the vast spectrum of human states of mind which one can bear forever." I can’t recommend this album without imploring you to pick up the first two. Bersarin Quartett is truly obligatory in any listening collection, and in my mind it’s reached such heights that I often oversee my duty for these words – an accidental trait for which you will forgive me. Although the music of Thomas Bücker firmly standout on its own among the giants of today’s emotional electronica, I highly recommended it if you like Deaf Center, Field Rotation, Brambles and Julien Neto. While shopping in the Denovali’s store, be sure to also check out the latest releases by Safronkeira, Subheim and Moon Zero.